The title of the film Waiting for Superman (D. Guggenheim, 2010, Universal) refers to a child’s dream of being rescued by a super-hero. Specifically, in the film, the Superman metaphor refers to the hopes of poor children of escaping failing public schools and attending private ones that, they expect, will offer them a better schooling experience and better opportunities in life. 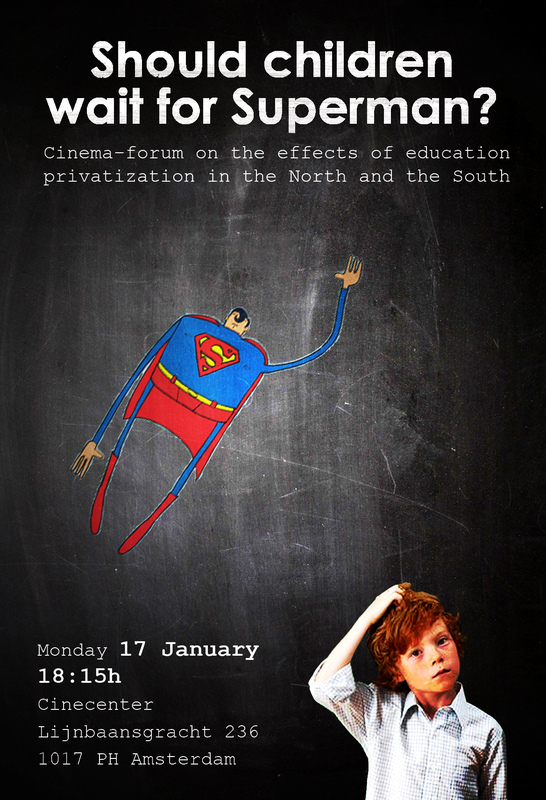 In fact, the film openly advocates the introduction of market mechanisms in education systems, such as school choice, and conceives the private management of schools as much superior to that of conventional public schools. 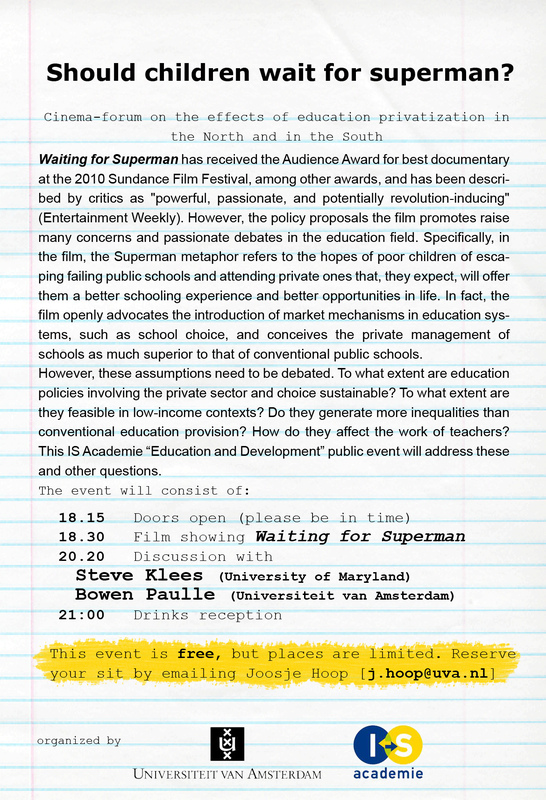 Waiting for Superman is contextualized in the US, but similar policies to those advocated in the film are being debated and implemented in other countries all around the world, both in the North and in the South. In fact, today, policies such as charter-schools, public-private partnerships and vouchers are becoming increasingly central in the agendas of important aid agencies, NGOs and international organizations operating in low-income contexts. IMPORTANT: This event is FREE but you need to confirm your attendance to Joosje Hoop [j.hoop@uva.nl] Places are limited and we cannot guarantee a seat to those that have not registered.